Every year churches and individuals set aside one Sunday, often the 2nd Sunday of December, to celebrate all that God is doing through FireBibles around the world. Regardless of the date, we want you to join in the celebration and schedule a Bible Sunday for your church. 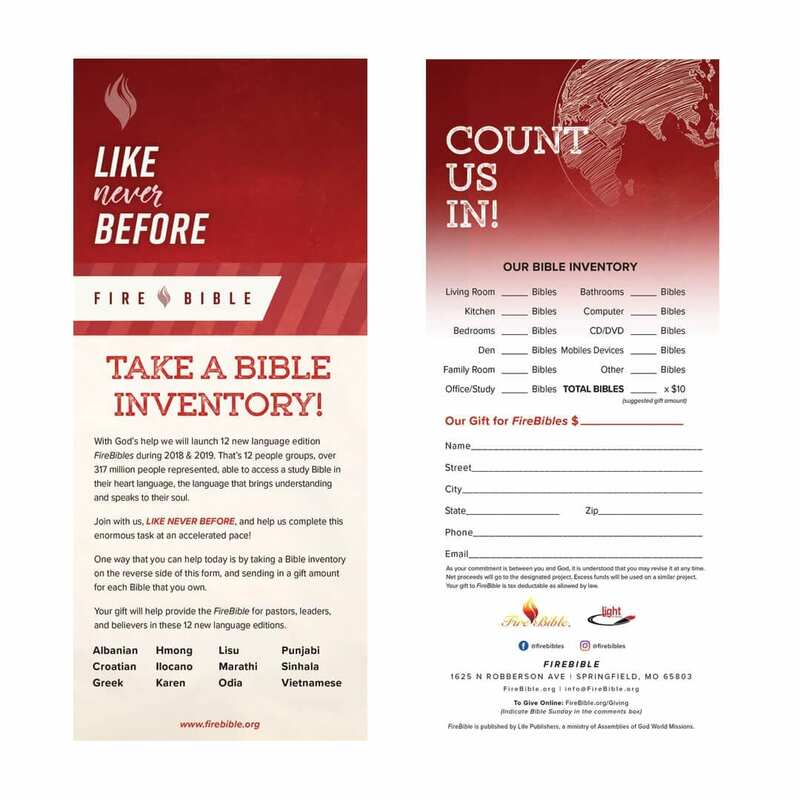 Please fill out the order form below for free resources to support your FireBible Sunday celebration and click on the link to download our annual theme video. 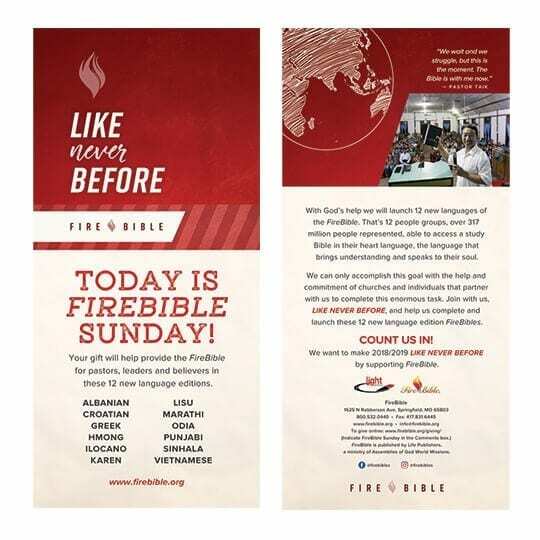 We want to celebrate FireBible Sunday on December 9, 2018. We need the materials by the date below. (alternate celebration date or need by date as specified above). How many Bibles do you own? Take a personal inventory. 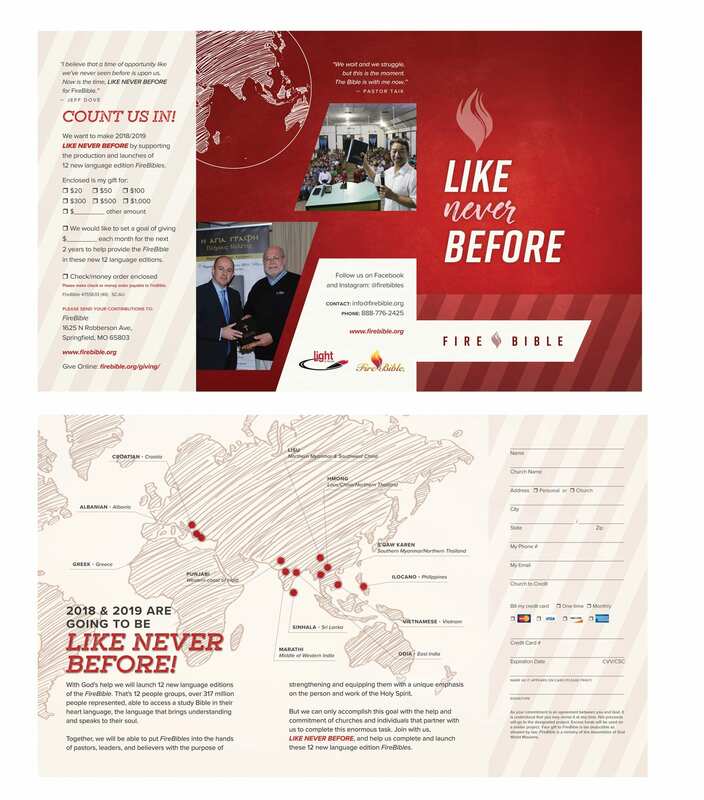 Provides description of theme, FireBible editions in process, and call to prayer.